As a freshman attending the La Salle Institute in Troy, Dr. Athanasios was injured while trying out for the baseball team. With a school trip to Spain on the horizon, he knew being unable to walk due to back pain wasn’t acceptable. His mom brought him to her chiropractor who said that Dr. Athanasios could recover, but on one condition: he had to show up at the office every day for three weeks, until his trip. Dr. Thanasi has done just that. He has served the Capital District since 2005. Dr. Thanasi’s love for sports and education has provided a greater understanding of the bio-mechanics and the additional stress athletes put on their body. Through chiropractic care, Dr. Thanasi has been able to provide his youth and adult athlete clients with the chiropractic care necessary to ensure health and longevity within their careers. With the rise and awareness of the effects of concussions, Dr. Thanasi has been working with the Albany Patroon’s Basketball team, as their head Chiropractor as well as local youth sports organizations. His goal is to ensure that they have the proper concussion protocol and support system in place, in case such an injury occurs. Dr. Athanasios obtained his Doctor of Chiropractic degree from New York Chiropractic College in Seneca Falls, NY. There, he supplemented his chiropractic education by doing research outside of the classroom on nervous system function, adaptability and our environment. Though his learning experience led to gaining a Doctor of Chiropractic degree, the single greatest part of attending school was when he met his wife Beth, who lived nearby. Dr. Thanasi holds certification in the Webster Technique, which is implemented in the care of pregnant patients. During Dr. Thanasi’s post-graduate work, he continues to expand his knowledge and resources by attending seminars that focus on the Nervous System, adaptability, Sensory Processing Disorders, and concussions. He currently serves as the District 6 President of the New York Chiropractic Council and as the 16u and 18u Director for the Schenectady Youth Hockey Association. Dr. Thanasi is the head chiropractor for the Albany Patroons Basketball team. 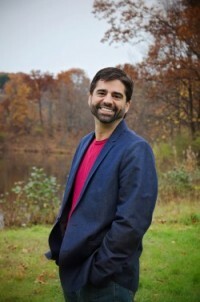 He is a member of the ICPA (International Chiropractic Pediatric Association), IFCO (International Federation of Chiropractors), and the Guilderland Chamber of Commerce. They have two sons who have been adjusted since they were minutes old. Beth and Dr. Athanasios have been by each other’s side for years, working together and often having their children in the office with them. When they’re not busy at Pillar, they’re involved in their community, church and youth organizations. Dr. Athanasios is a former ice hockey player who now coaches his children’s teams. Dr. Newman discovered chiropractic when she received her first adjustment as a baby. Her mom received chiropractic care throughout her entire pregnancy and understood the positive impact it would have on her growing baby’s health. Following a 4-wheeler accident as a teenager, Dr. Newman suffered from vertigo and debilitating hip pain, causing her difficulty concentrating, walking, and performing normal activities of daily living. This would be a life-altering event for anyone, especially a teenager. After receiving chiropractic care, her symptoms of vertigo and hip pain completely resolved and she was able to return to doing things she enjoyed, as a healthy and active teenager. Dr. Newman has had the opportunity to work with several pregnant moms and children, helping them achieve their highest level of health and well-being. Dr. Newman believes that the foundation of your health starts before birth. She emphasizes that it is essential for mom and baby to have healthy nervous systems. Her mission is to deliver chiropractic care to pregnant moms, in order to promote a safer and easier delivery for baby to have the best start possible. She is passionate about helping families reach their goals and thrive! She is committed to educate and empower her community through educational events, workshops and research. Dr. Newman obtained her Doctorate of Chiropractic degree from Life University in Atlanta, GA, where she practiced before moving back to the Capital District. Her undergraduate studies include nutrition and sciences. During chiropractic school, she became very interested in prenatal and pediatric chiropractic care, leading her to attend several pediatric adjusting seminars and club meetings. Dr. Newman has completed extensive post-graduate education and training in prenatal and pediatric chiropractic from the International Chiropractic Pediatric Association. Dr. Newman holds certification in the Webster Technique, which is implemented in the care of pregnant patients. 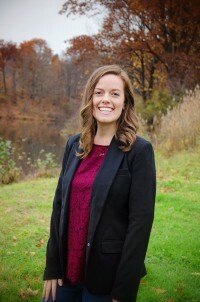 Dr. Newman is also currently working towards completing her certification in pregnancy and pediatrics by the Academy Council of Chiropractic Pediatrics. As a mom and prenatal chiropractor, Dr. Newman is very involved in the birthing community, bringing an abundance of knowledge and resources to pregnant moms. Dr. Newman enjoys spending time with her husband and son, hiking and traveling to new places. Dr. Newman and her family love to participate in local fundraisers and events in the community. One of her personal favorite’s is the annual Equinox Thanksgiving Community Dinner at the Empire State Plaza, where she met her husband. Beth’s journey to becoming a Nutrition Response Testing Practitioner has been very rewarding and has given her an opportunity to serve her community locally and on a grander scale. In Beth’s early 20’s, she woke up one day and had lost full use of her right arm. After going through several tests and seeing several doctors, there was no understanding of what was going on and how to resolve it. At that point, Dr. Thanasi convinced Beth to start Chiropractic Care. After going through an exam and reviewing x-rays, it was determined that she had two herniated discs in her cervical (neck) region. After several months of intense chiropractic care, she regained full use of her arm and has since been able to continue doing all activities that she loves to do. This experience lead her to have new appreciation and respect for Chiropractic, causing her to begin working in a chiropractic office, until Dr. Thanasi and her opened Pillar in 2005. As she learned more about the power of the body and chiropractic, one thing became very apparent to her – without a good nutritional foundation and an ability to cope and adapt to the stresses we face daily, we would all ultimately succumb to illness and disease. Dr. Thanasi already had the chiropractic side taken care of, helping to address the body’s ability to adapt to stress and facilitate an optimal nervous system. The nutrition support and guidance, however, was not. She returned to school with a focus on nutrition, and became certified in Nutrition Response Testing, shortly after. Nutrition Response Testing has given Beth the knowledge, skill, and resources to help individuals find out what areas of the body are “stressed” or congested, and what exactly is contributing to this disruption within the body and not allowing it to do what it should be able to do, naturally. The body’s inability to cope with various types of “stress” are often expressed in a symptom form. Some of the most common symptoms her clients present with are digestive issues, mental fog, bloating, menstrual issues, headaches, depression/anxiety, an inability to absorb nutrients properly, irritability, and thyroid issues, to name a few. Through Beth’s education and experience as a Nutrition Response Testing Practitioner, she is able to help you discover what you may be eating or coming into contact with that is having a harmful effect and then, provide you with an individualized plan that is specific to help resolve these stressors. Beth believes it is important to be involved and share the importance of taking the time to take care of yourself. She continues to educate others on Chiropractic in our local community and on a professional level. Beth also shares her knowledge through presentations given at PILLAR, local businesses, and community venues. She loves empowering individuals to take charge of their health and be in control of their choices! Beth earned a Bachelors of Science in Psychology from The Sage Colleges with honors. She continued to earn her Masters in Applied Clinical Nutrition from The New York Chiropractic College with honors. She holds certification in Nutrition Response Testing. 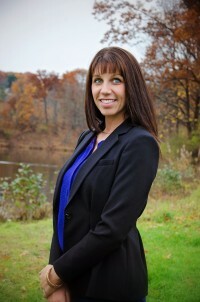 She serves on the New York Chiropractic Council Board as chair of CANY (Chiropractic Assistance of New York) since 2016. She was awarded with the Dr. Frank P. DeGiacomo Chiropractic Humanitarian Award in 2015 for community education in chiropractic. She has received several speaking awards for speaking engagements within the Chiropractic Profession. Beth enjoys spending time with her husband (Dr. Thanasi) and their two sons. Both of their sons have been getting adjusted and have been part of the office since they were born. If you are there in the afternoon, you may even see them bouncing around. The entire family loves sports, so it is not uncommon for them to be busy throughout the year with sports activities. Dr. Thanasi and both boys play hockey, so they spend a lot of time at the ice rink. When they break away from the ice, Beth enjoys catching up with friends and family, getting involved in community events, and can never say no to a trip, whether it is work or fun related.